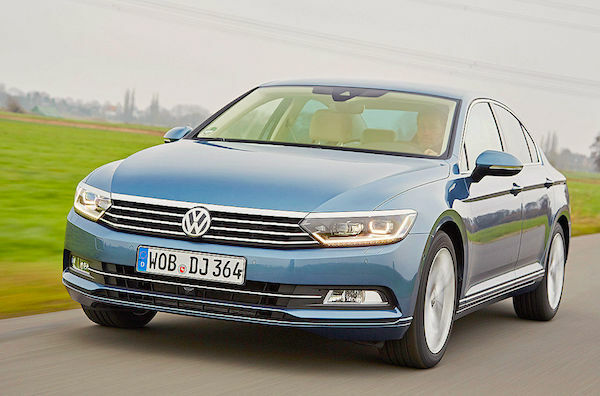 The Passat (+86%) is solely responsible for keeping Volkswagen in positive in November. New car sales in Europe enjoy their 27th consecutive month of year-on-year gains with an impressive 13.5% improvement in November – the 2nd-strongest so far this year, helped by particularly strong performances of some of its largest markets such as Spain (+26%), Italy (+24%) and France (+11%) while Germany (+9%) and the UK (+4%) are a notch below. All-in-all, 27 out of the 29 markets composing the region posted year-on-year gains (the two odd ones out being Luxembourg and Estonia) and 21 posted double-digits gains. According to JATO Dynamics, the Seasonally Adjusted Annual Rates (SAAR) reached 14.03 million units at 1.127 million sales in November, bringing the year-to-date total to 13.065 million, up 9% or 1.056 million on the same period in 2014. 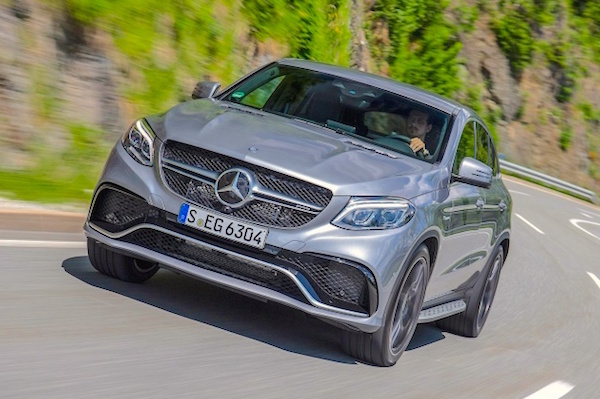 Mercedes outsells both BMW and Audi this month in Europe. The scandal the Volkswagen Group is still enduring is clearly showing in the brands ranking: the Volkswagen (+3%) and Audi (+4%) brands are the only ones in the Top 10 posting a single-digit increase. At 59.114 registrations this month, Audi even slips below archenemies Mercedes (+18% to 62.452) and BMW (+10% to 60.613). Audi will win the European luxury race in 2015, but at just +6% so far this year, it will need a very strong result from the new generation A4 to keep its two followers at bay: Mercedes gains 12% after 11 months and BMW is up 10%… Renault (#2), Ford (#3) and Fiat (#9) all top year-on-year gains in the Top 10 at +19%, with Opel/Vauxhall (#4) and Peugeot (#5) following closely at +18% and +16% respectively. Over in the models ranking, the Top 4 best-sellers are unchanged on October but all underperforms with the VW Golf (+3%) leading the way above the Polo (-1%), Renault Clio (+7%) and Ford Fiesta (+4%). The Opel Corsa (+18%) returns to the 5th place it holds year-to-date, while the VW Passat is solely responsible for keeping Volkswagen in positive territory with sales up a whopping 86% on the previous generation a year ago. 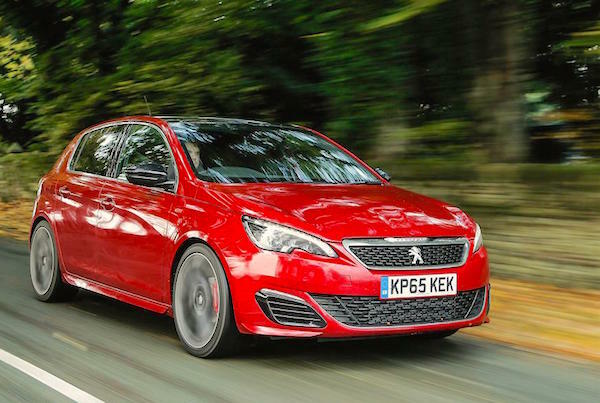 The Peugeot 308 manages a second consecutive month at a record 8th place thanks to sales up 22% year-on-year to 18.301. It ranks third in its segment below just the Golf and Skoda Octavia, just as the Ford Focus, Audi A3 and Opel Astra (despite sales up 29%) remain outside the overall Top 10. It is also the 4th time (after November, December 2014 and July 2015) that the 308 is Peugeot’s best-seller above the 208, itself up a very encouraging 23% this month. Full November 2015 Top 10 models and brands below.